Last June 2-3, 2013. 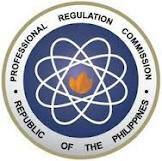 The Nursing Board Examination or known as the Nurse Licensure Examination (NLE) for June 2013 was given by the Professional Regulation Commission (PRC) of the Philippines. The said licensure exam was held in various regional offices and cities of the Philippines such as Manila, Cagayan De Oro, Cebu, Davao, Ilo-ilo, Legazpi, Lucena, Pagadian, Tacloban, Tuguegarao, Zamboanga, Angeles, Cabanatuan, Dagupan and Laoag. According to PRC, there 38,656 examinees nationwide from various testing centers has taken the Nurse Licensure Examination (NLE) for June 2013. The June 2013 NLE Results is usually announced by the PRC around 60 days, more or less. Examinees are advised to monitor closely to PRC website for June 2013 NLE result updates. Otherwise they can also look for NLE result from another websites. There are a lot of websites publishing the upcoming June 2013 Nursing Board Exam Result of also know as the June 2013 NLE Result or through social page like Facebook at Nursing Board Exam Result for June 2013. Good luck to all examinees and God Bless.